distribution Statewide, lacking records from just two mountain counties. Certainly present in all 100 counties. 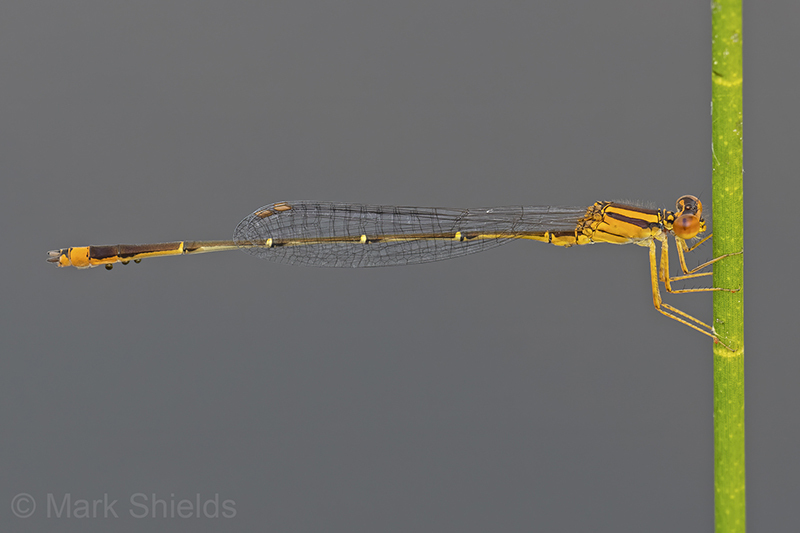 Unlike many damselflies with a "statewide"range, this species has been recorded from all coastal counties. abundance Common and widespread in the Coastal Plain and Piedmont; locally abundant in a few areas. Fairly common to perhaps locally common in the mountains. flight A long flight period -- early or mid-April to late October, in all three provinces. habitat A broad range of lakes, ponds, and slow-moving streams. comments This is as widespread in the state as any damselfly, and is reasonably common as well. The orange color on the male is quite noticeable.